An international study, led by researchers at Macquarie University, has developed a new computer model that can predict the status of certain health characteristics just by analysing a person’s face, and reports that our brains work in much the same way. “We have developed a computer model that can determine information about a person’s health simply by analysing their face, supporting the idea that the face contains valid, perceptible cues to physiological health,” said study author Dr Ian Stephen from Macquarie University. The study, which has been published in the journal Frontiers in Psychology, shows that the model is capable of detecting information about a person’s BMI, body fat and blood pressure levels. “First, we used photos of 272 Asian, African and Caucasian faces to train the computer to recognise people’s body fat, BMI (a measure of body size) and blood pressure from the shape of their faces. We then asked the computer to predict these three health variables in other faces, and found that it could do so,” said Dr Stephen. The researchers then investigated whether our own brains could detect this health information from a face in a similar fashion. To test this, the researchers created an app that allowed participants to change the appearance of faces according to the computer model. “We then asked 26 participants to use the app to make a group of faces look as healthy as possible,” Dr Stephen said. 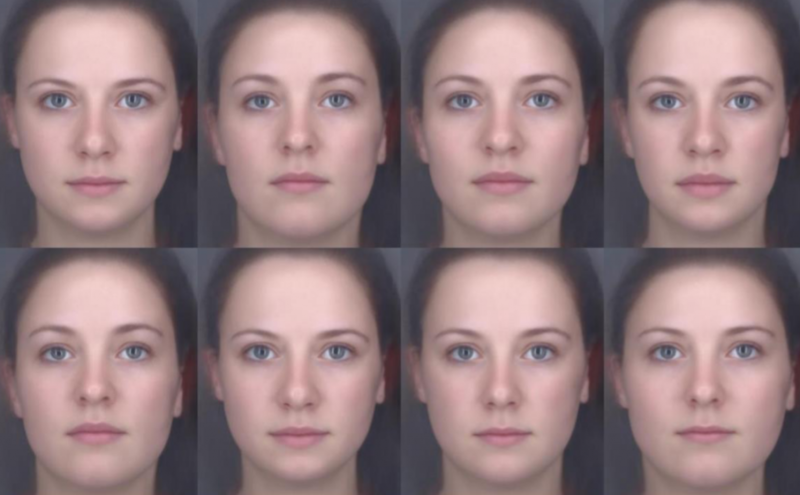 The results suggest that we, much like the computer model, can use facial shape to make accurate judgements about people’s health. “The results suggest that our brains have evolved mechanisms for extracting health information from people’s faces, allowing us to identify healthy people to mate with or to form cooperative relationships with. This fills an important missing link in current evolutionary theories of attractiveness,” Dr Stephen continued. “The findings provide strong support for the hypothesis that the face contains valid, perceptible cues to physiological health, and while the models are at an early stage, we hope that they could be used to help diagnose health problems in the future,” he concluded. Stephen , Ian D; Hiew, Vivian; Coetzee, Vinet; Tiddeman, Bernard ; Perrett, David I. Facial shape analysis identifies valid cues to aspects of physiological health in Caucasian, Asian and African populations. Frontiers in Psychology. October 2017.